World Record Title: World high- jump barefoot blizzard tallest man is Mr. Li Shoulong . World Record Rules: 1, 1.5 meters high from Taiwan Taiwan barefoot jumped and landed about 10 cm high blizzard heap ; 2 , in order to not hurt your feet , not bleeding as successful. Score 1.5 meters . 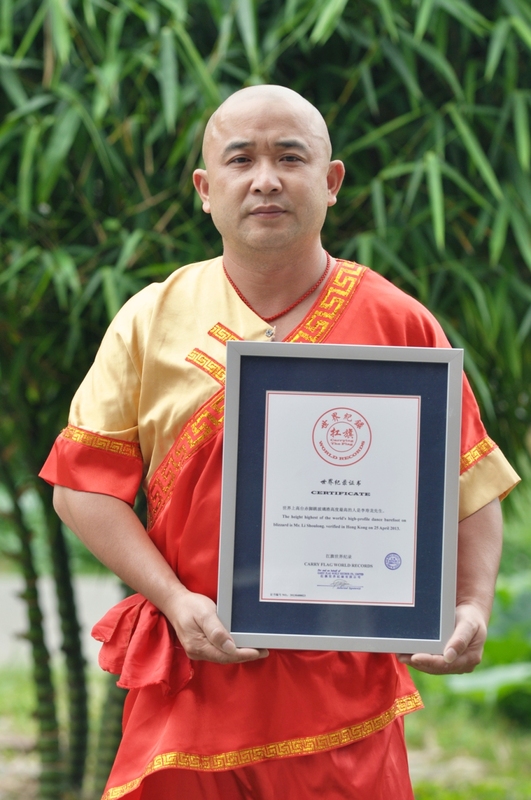 World Record Details: The height highest of the world's high-profile dance barefoot on blizzard is Mr. Li Shoulong. verified in Hong Kong on 25 April 2013.